Be informed. Be involved. 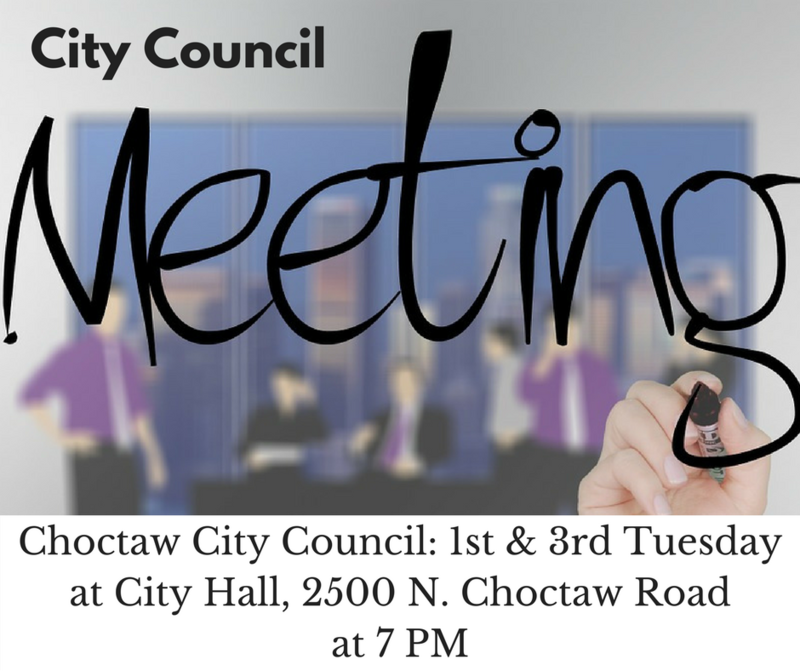 Choctaw City Council meets the first and third Tuesday each month at City Hall, 2500 N. Choctaw Road. Meetings start at 7 PM.